Do you take your birthday for granted? Welcome to Blessed Birthdays! We're so grateful for your interest and support. Since its founding in 2012 and its first party in February 2013, Blessed Birthdays, a nonprofit 501c3 organization, has been providing birthday celebrations for at-risk children in the Brightmoor neighborhood of Detroit, Michigan as well as in the Farmington Public School District. At Blessed Birthdays, we believe that all children deserve to feel special on their birthdays, regardless of economic status. 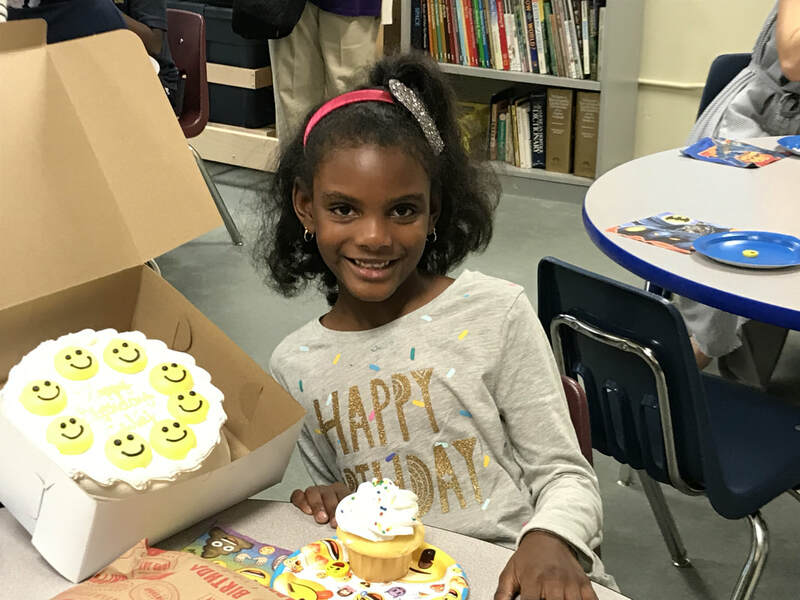 Each Blessed Birthdays birthday celebration is complete with a game, prizes, decorations, a decorated cake to take home, a birthday child-chosen present, and cupcakes for all. Every birthday matters because every child matters. About the Founder: Anika Jane Beamer, founder and CEO of Blessed Birthdays, is a high school senior with a passion for all things birthday. She founded Blessed Birthdays at age 11 with the intention of making sure that no child was deprived of feeling important and unique on his or her most special of days.